AST Integrity Testing - Environmental Quality Management, Inc.
EQM has developed tank testing programs for major industrial clients in steel manufacturing, utilities, waste treatment facilities, and more. EQM’s aboveground storage tank (AST) testing services were initially established in support of U.S. EPA’s SPCC regulations in 40CFR112.8(c)(6). Tank inspections are performed in accordance with Steel Tank Institute’s (STI) SP001 standard for the Inspection of Aboveground Storage Tanks. The inspections typically consist of a thorough external visual examination and shell thickness testing using an ultrasonic meter. EQM also inspects concrete foundations, supports, flange piping, threaded joints, welded-end connections, and normal and emergency vents. Following the inspection, EQM presents a verbal report of findings and subsequently prepares and submits a Certified Tank Inspection Report. Recommendations are also made for corrective actions. EQM has developed tank testing programs for major industrial clients in steel manufacturing, utilities, waste treatment facilities, and university campuses. Most have been driven by the Spill Prevention, Control and Countermeasure (SPCC) regulations in 40 CFR Part 112, but some were driven by self-imposed corporate responsibilities. EQM evaluates the needs of each client and prescribes the most appropriate inspection standard for carbon steel aboveground storage tanks (ASTs), fiberglass-reinforced plastic (FRP) ASTs, and linear and cross-linked polyethylene ASTs. In addition to conducting certified tank inspections, EQM staff also trains facility personnel to conduct routine periodic inspections of portable containers (e.g., drums, totes) and ASTs. EQM staff members have also trained qualified personnel to perform limited tank integrity testing using ultrasonics and hardness testing in the case of FRP and plastic tanks. EQM has developed company-wide tank inspection programs and prepared inspection protocol documents for FRP and plastic tanks. Developed a tank integrity inspection program for a major Division I university in Ohio that owned/operated over 60 emergency generators equipped with integral belly tanks, adjacent ASTs, USTs, and/or day tanks. Customized the STI periodic inspection forms to tanks in use at the University, and trained over 50 electricians and maintenance personnel how to properly conduct periodic inspections of these ASTs. Developed a complete database of the tank inventory with documented tank features and procured technical drawings for individual tank files. Based on tank age, size, spill control, and release detection design, a certified inspection schedule was developed. In addition to shop-built steel ASTs, EQM specializes in conducting non-destructive testing of fiberglass and polyethylene ASTs. For a company listed in the top 10 of the Fortune 500 in 2012, EQM developed tank inspection protocols tailored to meet the company’s requirements and objectives for fiberglass reinforced plastic (FRP) and polyethylene ASTs. The company took a pro-active approach to their tank inspection program and went beyond existing requirements. 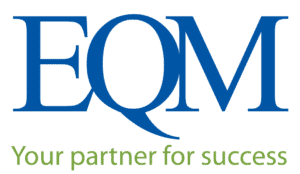 EQM developed company-specific inspection documents based on best available recommended practices and guidance documents. Once the protocols were developed and approved by the company and EQM’s certified inspector, EQM implemented the tank testing program at sites across the contiguous United States. EQM has conducted tank integrity testing at over a dozen sites involving more than 40 tanks.